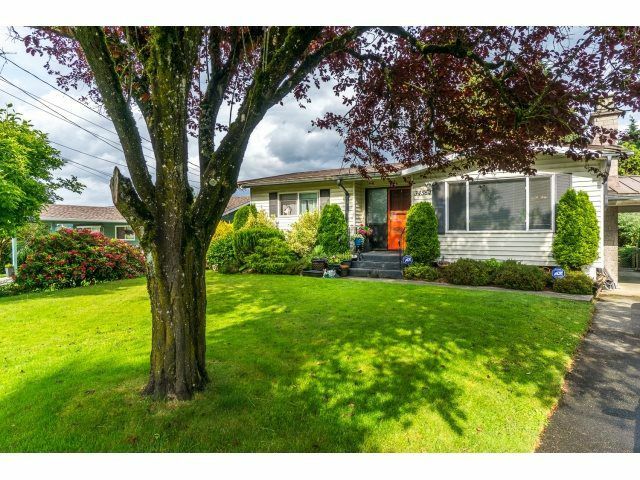 Rancher with walk out basement on large 9246 sq ft lot in East Abbotsford's sought after Robert Bateman area! Updates include: hi-efficiency furnace, gutters, sundeck cover 8x19 feet, laminate flooring, maple kitchen, tile backsplash, hot water tank- 2years old, all vinyl/thermal windows. The backyard is fully fenced, beautiful mountain views from the deck and yard. The 12 X 10 shed is wired. Fantastic quiet neighborhood, close to parks and schools.